e all like to read about audio components. Of course, about the music, too, but the products used to reproduce music allowing us to listen to it at home are what interests us most. After all, we are audiophiles. Over the years, we have become accustomed to reading first of all product tests, less frequently columns, reports and interviews. It is something normal for us to test individual products and focus on them. A well-prepared test requires from a reviewer to have at his/her disposal a well-known reference system (reference devices). He/she knows their performance well both in this particular system and when paired with many other products. It is desirable for him/her to know and understand how these devices work, to have some idea about how certain technical solutions correct the sound and what to expect of them. The test should be a comparison in which one reference point is his/her own product of the type and the other is a live sound. Based on the comparison he/she creates a description of the performance, which then needs to be interpreted, ie, the reviewer has to try to understand what the established changes to the performance mean, what do they tell us about the tested product, and how these changes should be understood in a broader context. Finally comes an assessment, meaning referring conclusions from the test to the price of the device, competitive products and reviewer's own preferences. The description and its interpretation should be as objective as possible. In turn, the assessment is always “contaminated” with reviewer's own, subjective view. An honest journalist will indicate his personal preferences so that the readers know how to interpret his/her assessment. Although it should be done at the beginning, at the stage of description and interpretation, in the real world, the boundaries between these elements are blurred, and many readers tend to take shortcuts and just confront their needs with the summary of the test. In extreme cases, some reader only look at number of the stars (if these are given by magazine/reviewer). It's a mistake, but it's so common that it's actually trivial. The test of the product could be compared to taking one piece of the puzzle out and putting another, one that we are interested in, in its place. It is therefore a kind of self-deception. Please look at it this way: if our system is set up to perform well as a system, changing any of its components changes a fragile balance. And on the other hand, there is still a tested product that has to work in a completely alien environment, taken from its own, the one it was designed for. As I mentioned, we got used to it and we silently approve this way of doing things. We throw the reasoning out and do not take the conclusions into consideration. Otherwise there would be no test. Let me explain why. The reference system is the only constant we know. Even the sound of live instruments is just an approximation of what is captured in the recording. Of course, one can imagine a situation in which one receives a complete system for a test that includes the product of one's interest. This type of listening test would tell us nothing really about this product, maybe something about the whole system. And yet, again, we are interested in the description and evaluation of the performance of a particular device (loudspeakers, cables, etc.). If we have enough imagination we can of course go further and think about the situation in which we get a complete system and test the device in that system and then also in our reference system. Let's go on - in the next step we try to match the tested product to other systems that could be recommended to the readers. It will only be an exercise for our imagination, nothing like that will actually happen. Why? Because of the cost that such a test would generate for a manufacturer / distributor, and the cost would be high because firstly it would take a lot of time, and secondly there is a serious downside inscribed in this reasoning – for such a test to be complete, reviewer would have to listen to the product using many systems. What, let's be real, is completely unfeasible. But we already learned a few things. First of all: there is no complete description of the sound, only a partial one. The test is just an approximation and a trial, not a fulfillment. And yet we accept such a test as it is and in most cases this approach works. In order to offer you something more than a theory, I would like to propose to you a test of a complete Verictum system. We prepared it together with Marek Stajndor and Pawel Czubryt. We have been planning it for a long time, but it may be a good thing that it happened only now, because in the meantime Furutech replaced its top plugs with the new I-E50 NCF (R) and FI-50 NCF (R) made of Nano Crystal² Formula (NCF) material. It is one of the most important advancements in the power supply industry in the recent years. The best confirmation of its importance is a list of companies that immediately started to use them includes such names as: Verictum, Siltech, Acoustic Revive and others. passive RFI filter X BLOCK (x 3); price: 2500 PLN/pc. Since Demiurg cables are equipped with a passive filter, they should be plugged into the system for a few days before critical listening. 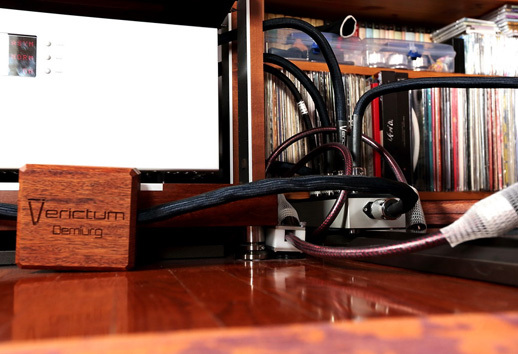 So I powered up the entire reference system plugging all components into the Acoustic Revive RTP-4eu Ultimate power distributor and the latter into the Furutech wall outlet with a dedicated line going to a separate HPC fuse. The test was conducted as follows. Before replacing cables I listened to several CDs, I repeated it after the cables were plugged into the system, and then a day later. 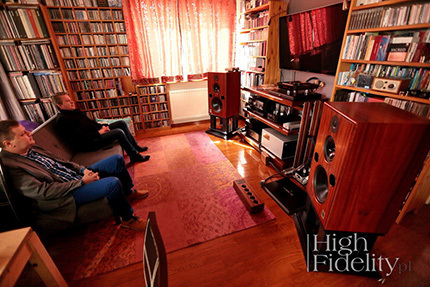 On the day of the actual, three of us listened to HF reference system powered with Demiurg cables. Next we replaced Acoustic Revive power distributor with Cogitari and we listened again to the same recordings, and then we plugged into the distributor a dedicated X Bulk filter. The next step was to connect two more filters - one to the Ancient Audio Lektor AIR V-edition CD player, and the other one to the Ayon Audio Spheris III preamplifier. Finally, we placed X Bulk filters on the preamplifier, its power supply, and the Soulution 710 power amp. After each stage of the test, we sat down at the table and discussed the changes that had taken place. And they were not small. At the end of the test, we summed it up, and on the next day, I listened to the same tracks (alone) without Verictum products in the system. During the test we also used X Bulks in an unusual way, placing them on CDs. You should try it yourself, the effects are comparable to what what is achieved with the Acoustic Revive RD-3 demagnetizer. VERICTUM: Our carpenter's workshop has a lot of work with them. They must use a machine that works with extreme precision and very slowly. The merbau wood is very hard and brittle, eg the X block housing is cut out of solid blocks, and after processing the walls are quite thin, and the writing is done on CNC - it's really a really slow process. The search for a suitable workshop looked as it always does - a man came to us claiming he could do the job for us, and that there would be no problem with it. I waited for two weeks and didn't hear again from him. I called and he said he'd already done one part, but he had other orders too and he didn't have time for me at this moment. After a month I phoned again and and the guy said that unfortunately he couldn't do it... That's one of few similar situations with carpenter's we experienced. How do you achieve the performance you're after? 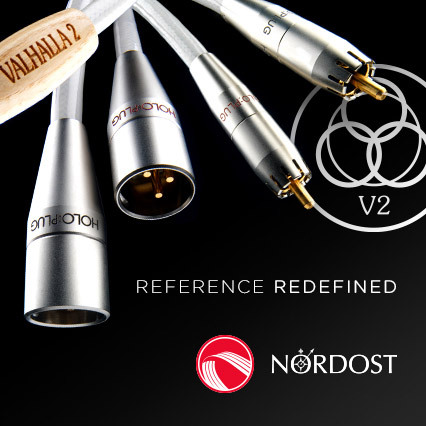 Our products, in addition to the unique technical aspects and measurement procedures related to the technologies we use, are meticulously “tuned” or “voiced” if you please. During the product development process, we select technical solutions used in the industry and / or developed by collaborating scientists. At this point it should be emphasized that 99% of the technological solutions for the industry, don't work well in audio. These technologies usually degrade sound. That is why only a smart adaptation of these solutions according to specific audio requirements brings desired results. This is a very delicate and difficult process considering the emphasis we put on the painstaking refining of our products. We also pay attention to the smallest details when creating our products, cables, filters, etc. Every detail of product's design is an important element contributing to the final performance. The complexity and number of phenomena occurring in audio goes far beyond knowledge taken from engineering manuals, so we work together with renown scientists who deal with the phenomena we are interested in and achieved significant accomplishments in this field, including patents. We must emphasize that the path of industrial, and therefore mass-production prevents refining product at the highest level of detail needed for tuning it at each stage of production. Only manual production allows for applying unique solutions that allow us to achieve targeted sonic properties. That is why our approach is somewhat similar to the way small, renown Japanese companies, such as Mr. Sakuma's or Audio Tekne's, operate. With regard to the verification and fine-tuning of our products, it takes place in 5-6 different systems. The long-hours listening sessions are performed by several people, including professional musicians who also listen to their own music using our products. Such meetings are fundamental for us as we receive an objective and complete evaluation of the impact that our products have on the sound. We use only listening systems that have been refined, transparent and tonally balanced, in which the loudspeakers do not limit any particular sections of the band, especially the treble where much is happening. Most of these systems are accompanied by professionally prepared acoustic room treatment, which allows us to hear again as much as possible during the meticulous process of fine tuning of our products. These systems include tube and transistor equipment designed by renown foreign and domestic brands. We want our users to be sure that we have taken care of the smallest detail of the performance, so even if at particular stage of development of their system they are not able to hear the full potential of our products, the will not be disappointed later when their system reaches a new, high level of performance. Higher level in audio. Our products are designed to deliver sound as close as possible to what we can hear during philharmonic concerts. That is why go to live concerts at the Silesian Philharmonic in a well-prepared acoustically NOSPR hall, or in the Silesian Opera in Bytom, but not only there. Due to attending such concerts we have a good knowledge of how the different instruments and voices sound, which tonal components are constant regardless of the acoustics of the concert hall, and which are subject to modifications. This gives us an up-to-date reference to how could and should classical music sound when reproduced by an audio system. Live classical music consists of the voices and instruments in a pure form without any amplification system. Classical repertoire is also the most difficult repertoire to reproduce by an audio system, because the orchestra is a complex and huge instrument with a great diversity, rich in colors and harmonics. And there is also the incredible micro-dynamics and dynamics that accompany concerts. For each audio system, it is a challenge to recreate such a large amount of information that should create a coherent artistic spectacle. That is why classical music is an “obligatory” repertoire, a core one for any testing and tuning of our products. During the listening sessions we use a well-known to us repertoire on CDs, which is appropriately recorded and released and possibly closest to what we can hear during live concerts in the philharmonic. The music we use has also been verified in many audio systems. We don't claim that one can hear the symphony orchestra in a 1:1 scale at home, but we can get him very close in terms of tone, micro-dynamics, differentiation, musicians technique, separation, and more importantly, the impression that musicians are present in the room, "talk" to each other through music and induce incredible, unique emotions in listeners while playing a specific repertoire. Of course, we also use another repertoire, but we treat it as an auxiliary rather than the core one we base our decisions on. This is a short version of how we develop our products. This is a path that requires a lot of knowledge, tenaciousness, patience and time, so creating and tuning a new product takes a long time, but it allows us to be sure that the customer receives an uncompromising product from us! Yes. First of all the loudspeakers disappeared from the room and the sound became more pleasant, less mechanical. We know this Japanese power distributor and in our opinion it delivers a very precise, but slightly mechanical, performance. Our distributor added a lot to the midrange presentation. The sound with it was more refined and multi-layered and more resolving, and above all, fluid, "musical", whatever that means. For us the change was significant and unmistakably a positive one. This result was exactly as we intended it to be. We heard the same thing and I could not disagree with you. 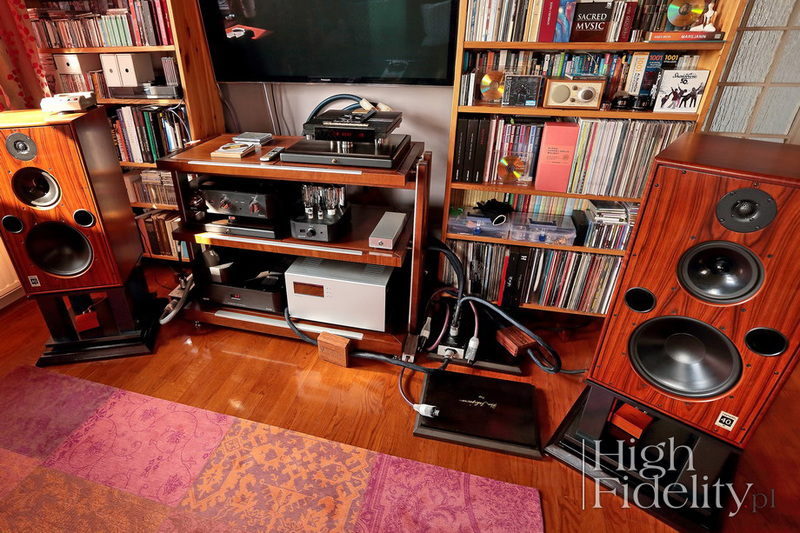 It was a refined, perfectly smooth performance that really got free from loudspeakers, even though I have never realized before that such an issue existed... But the distributor offered even more – a true connection with something real, close. But we should not pretend that everything has changed for better, right? Yes it's true. Compared to the Acoustic Revive strip, ours without the X Bulk creates some emphasis in the midrange, at least in relation to both range extremes. The bass was not so well differentiated. A dynamic accent, pace, extension – that's where the Japanese distributor performed better. And everything changed. Which was no surprise for us, because our distributor was designed and assessed/fine-tuned using the Bulk Gold. So it's no coincident. Everything became richer, fuller, suddenly differentiation and accent became clearer. The bass, which was not too well controlled before, now became disciplined and differentiated. There was still a characteristic sonic signature, a bit soft one, and yet now I didn't miss any element of the sound anymore. And what change when we connected additional Bulks? Let's explain that we connected one to CD Player's ground and the other to preamplifier power supply's chassis. Again – a much better separation, better tonal balance, a clearer sound. Eliminating distortion and noise results in a more 3D presentation of instruments' bodies and a palpable presence of musicians in the room. But it's not like the effect of adding Bulks was the same as when we changed the strip, do you agree with me? I mean, when building this system, based on the changes that the distributor introduced first, later we're going in a different direction, as if we were filling the spaces, blanks left out by the distributor. The strip has primarily changed the tone of the sound, made it warmer, and the bodies on the stage were rendered in a more natural, softer way. I was under impression that the addition of the Bulks added more differentiation to this sound.